In the school playground I remember seeing other kids with the red Viewmaster (or View-Master), but never paid much attention. Vaguely remember looking in one and 'not getting it'. 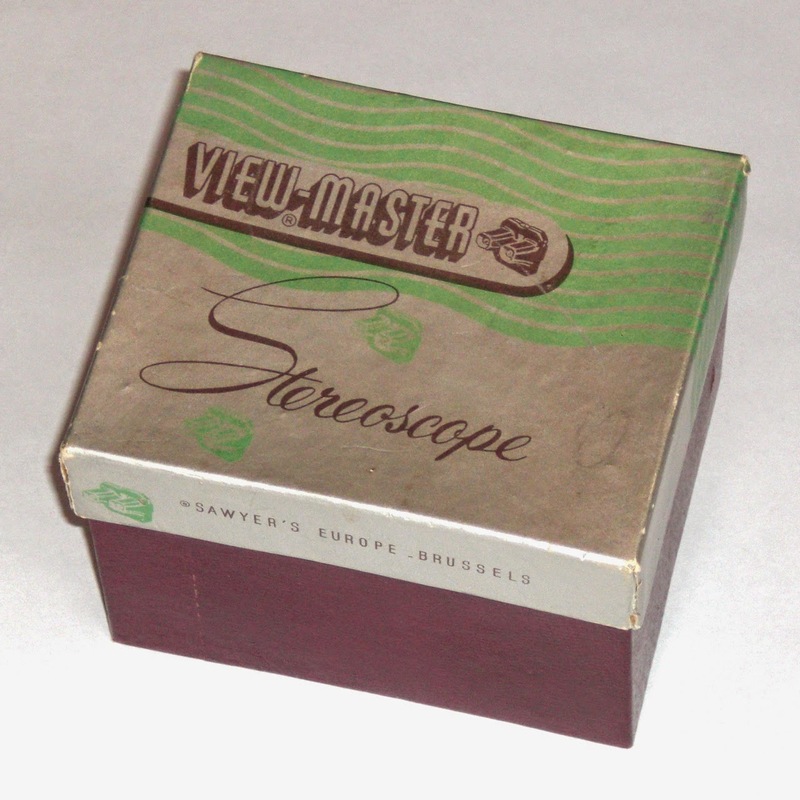 Until the recent post on i-dream-lo-tech about these stereoscopes, I hadn't realized how long they've been around for. That post made me very curious to experience one of these again. 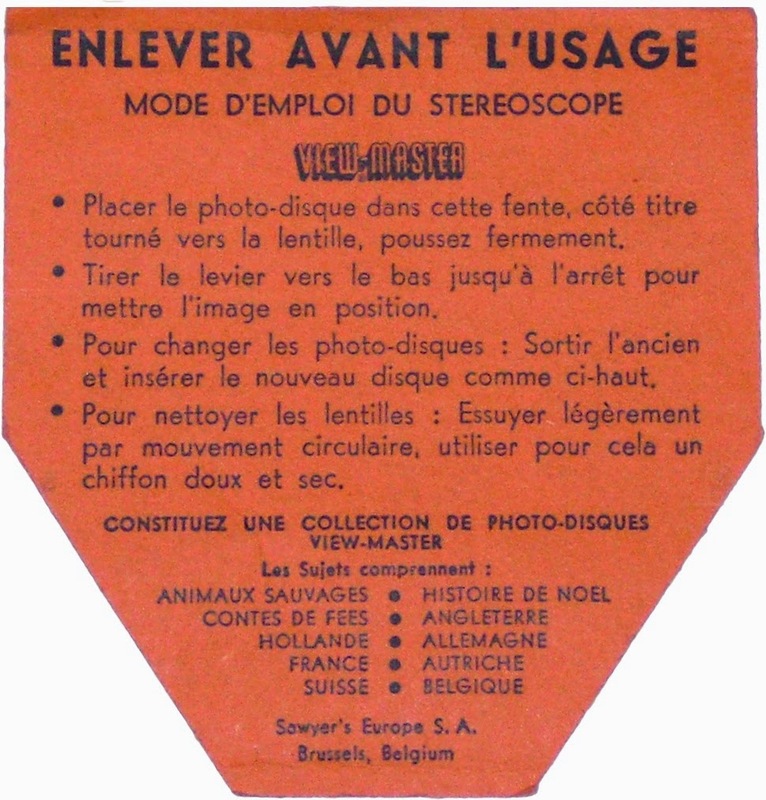 No different from the Portland-made viewers, but 'Made in Belgium' and with text mainly in French. Complete with instruction card (remove before use). With already a few reels dating from the same period - I 'get it' now. The kids by the way also 'get it', were totally wow-ed by the images. By now the 3D images have the added dimension of time. The views of Windsor Castle e.g. are very period typical, right down to a proper bobby pointing the way in the first image. I can remember hours of joy viewing my VM disks as a kid. 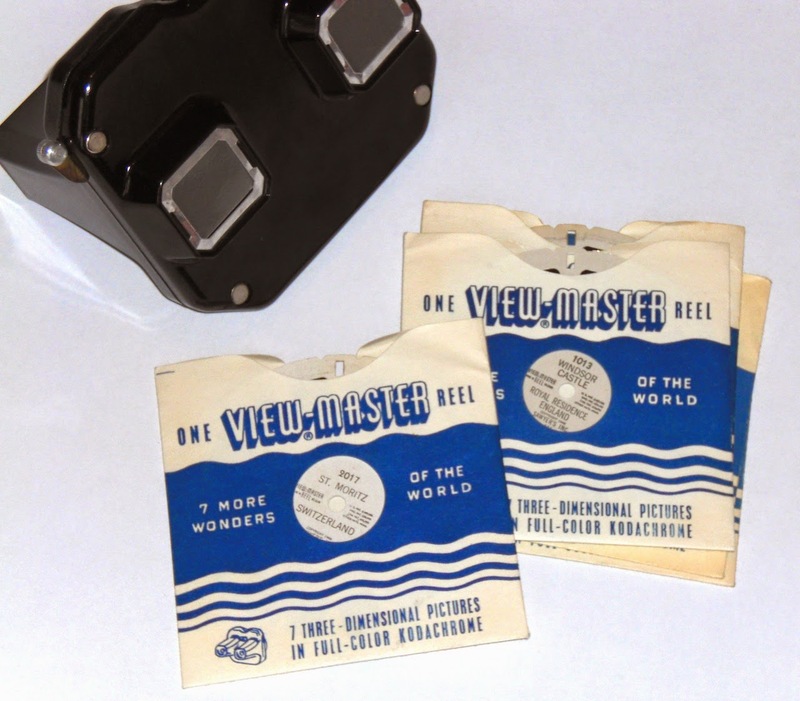 I recently picked up a set of stereoscopic slides from a "Realist" camera and simple viewer. 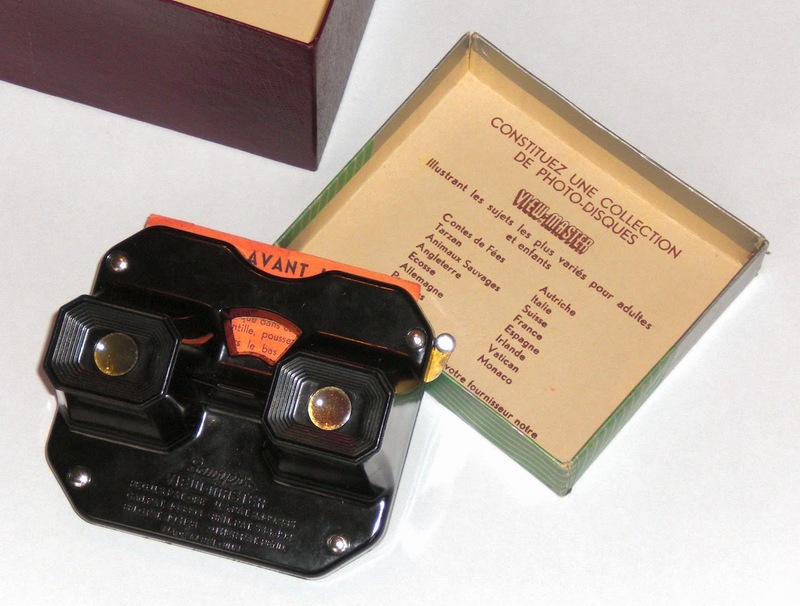 I was instantly reminded of how much I enjoyed the experience (Not to mention the voyeuristic thrill of looking at a strangers slide collection). This is cool, glad to hear you found a Model C. Yours looks to be in fine condition and with the box intact too. Enjoy! How to wrap that around a platen?